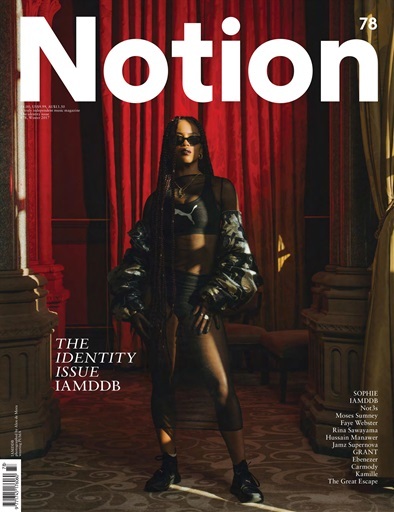 IAMDDB is Manchester's rising queen. Having exploded into being with her viral hit 'Shade' she's carved a place for herself as a wholly unique artist in the UK. With a sound sat somewhere between jazz, soul and trap she's set to revolutionise British music. Already on every 'One To Watch' list going, we get exclusive access to the fiercely independent singer as she prepares to claim 2018 as her own. 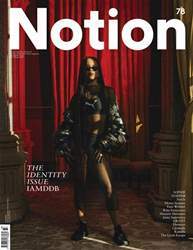 For Notion 78, the Identity Issue, we find out how she found empowerment through trap, how she's building an empire all on her own and why the future of rap belongs to IAMDDB.